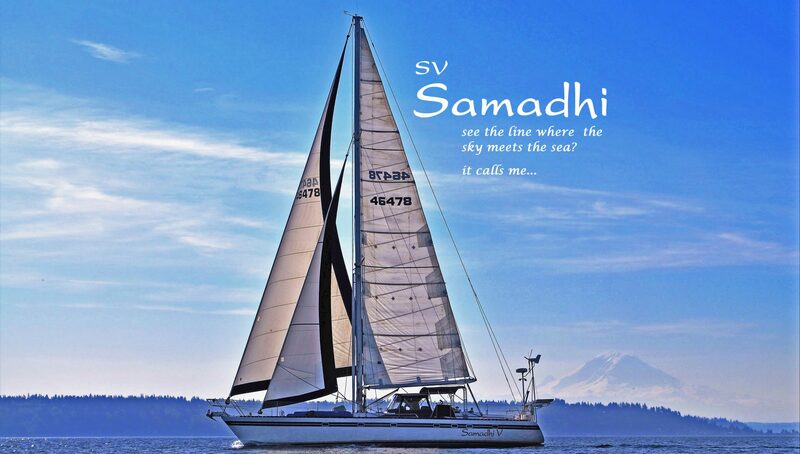 Samadhi got pulled out of the water for 3 weeks for some work. She got black bottom paint (goodbye Pacific blue!) and the work yard did a few other odd jobs for us. We also took the opportunity to wet sand the hull, compound, polish, and wax since the gel coat was pretty chalky. It took us 50 man hours to complete. Thank goodness we had use of the lifts in the yard.